Home » General Health » Big Insurers Pulling Out of “Obamacare:” Can the Healthcare Program Survive? Last week Aetna, one of the biggest insurance companies in America, announced it was pulling out of the Affordable Care Act (ACA), commonly referred to as Obamacare. Three years after its inception, the ACA has struggled to keep major insurers involved, which begs the question of whether the program can survive. Obamacare: A Success or Not? Obamacare has been extremely successful in providing health insurance to Americans. There are more Americans with health insurance now than ever before. The number of uninsured is now only 9.1%. Even more important is the fact that the coverage is extended to those who need it—the elderly and those with low incomes, who are often in worse health than younger, richer folks. Why Are Insurance Companies Abandoning Obamacare? So, why are insurance companies pulling out? Because they are losing money. But, it seems that the reason they are losing money is because they are not offering adequate products. So, instead of adapting to new market conditions, they are running off with their tails between their legs. But that’s not the only reason. In fact, in the first quarter of this year, Aetna announced that things were looking good and that ACA was going to be a sustainable program. What could have possibly happened to result in a $200.0-million second-quarter loss? Between then and now, the Department of Justice blocked a merger between Aetna and insurance giant Humana. Approving the merger would have meant much lower competition, fewer options for consumers, and higher prices. Now it appears Aetna is trying to get back at the government and its industry leader by announcing this pull-out. Grow up, kids. 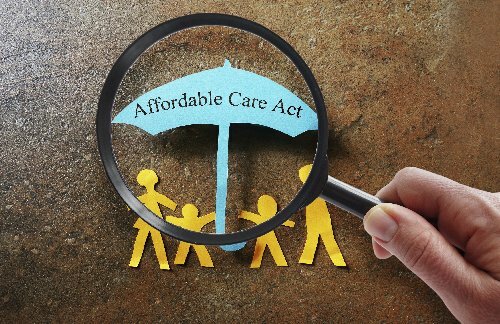 The ACA is a new program, and that means there will be periods of adjustment. This is simply one of them. It will also likely provide the opportunity for new insurance companies to step up and fill the void. There’s little question that the ACA has been wildly successful. And although the healthcare quality in America might be the best in the world, the U.S. healthcare system is far from it. Many other industrialized countries provide universal (free) healthcare, while others simply make it much more accessible. Nations like France, Germany, Spain, the United Kingdom, Serbia, and Russia view healthcare as a human right and not something that should be decided by quarterly earnings, the happiness of shareholders, or petty arguments. Health insurance is important because you never know what might happen to you. Of course, the best insurance is to make healthy lifestyle decisions, like being active, eating a healthy diet, avoiding cigarettes, staying on top of your health, and educating yourself. Bryan, B., “Now we know the real reason Aetna bailed on Obamacare,” Business Insider, August 17, 2016, http://www.businessinsider.com/aetna-humana-merger-reason-for-leaving-obamacare-2016-8, last accessed August 17, 2016. Luhby, T., “Will Obamacare survive as insurers pull out?” CNN, August 17, 2016; http://money.cnn.com/2016/08/17/news/economy/obamacare-insurers/index.html, last accessed August 17, 2016.